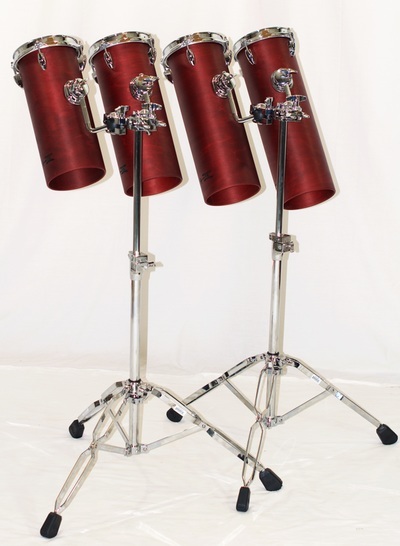 Need some accents for your drumset? 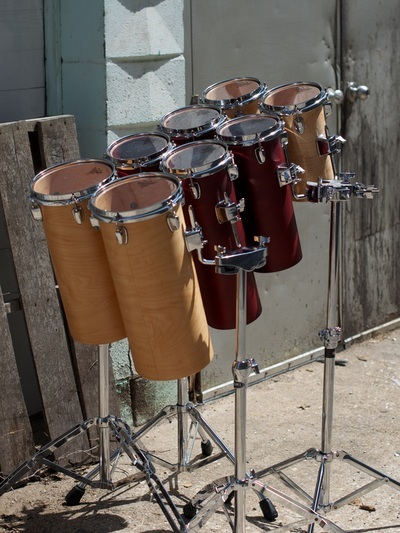 Wanna sound like Simon Phillips or Mike Portnoy? One of these two we can do for you--and we can help you with the other! Grab a pair, a set of four, or an eight-pack of tubular maple tom goodness, complete with one double tom stand per pair of drums. With the same choice of finishes* and hardware* as your TreeHouse drumset, these drums will fit right in hangin' from your drumcage. 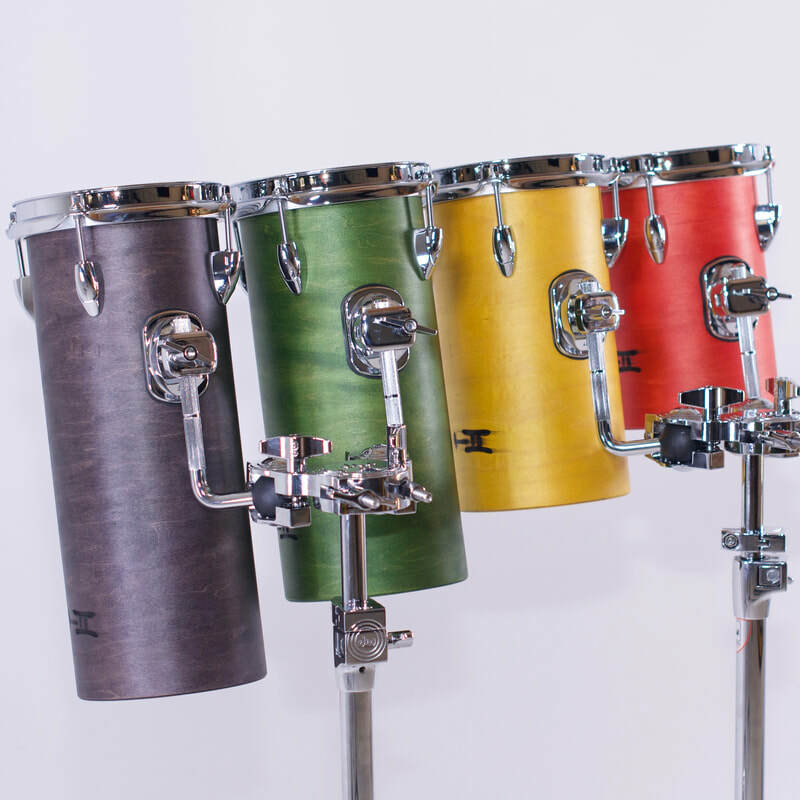 *TreeHouse Tube Toms are available in all the same colors as our oil/wax-finished drumsets with your choice of chrome hardware. TreeHouse Tube Toms are available in 6-inch and 8-inch diameters in 8 depths.